Hey Guys! My name is Jackie G and I'm here to try to get you the best games on the scratch community! 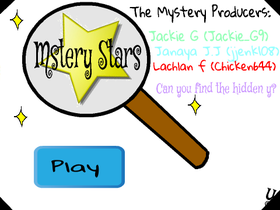 What I'm working on right now is a game called Mystery Stars! Really excited to put it to the scratch world! Info when game is put out thx for scratching!! !